Carnegie Mellon University researchers have used nuclear magnetic resonance spectroscopy to study the hydrogen bonds that modulate the chemical reactivity of enzymes, catalysts, and biomimetic complexes. The technique could lead to the development of better catalysts for use in a variety of fields. The results were published in the December 3 issue of Angewandte Chemie as a "Very Important Paper" and published on the front page of the journal. Hydrogen bonding is one of the most fundamental interactions in biology and chemistry. They are responsible for many of the chemically important properties of water, for stabilizing the structures of proteins and nucleic acids, including those in DNA and RNA, and contribute to the structure of natural and synthetic polymers. 1; molecules found near metal centers that have no direct binding interactions with the center – affect catalytic activity. In Catalysis Enzymes or synthetic catalysts stimulate a chain of chemical reactions that generate a series of intermediary structures or species. Understanding these structures and their chemical properties is the key to understanding the overall response. "Understanding the chemical reactivity of the reactive intermediate is a key step in determining how to design highly efficient and selective catalysts for C [BOND] H functionalization," said Yisong Guo, assistant professor of chemistry at Carnegie Mellon and Lead author of the study. "In the case of oxygen-activating enzymes, the key intermediates of catalysis are ironoxo (Fe-O) and iron hydroxo (Fe-OH) species, which are involved in important biological processes such as DNA biosynthesis, DNA, and DNA RNA repair , post-translational modification of proteins, biosynthesis of antibiotics, and degradation of toxic compounds. " Guo and colleagues used 57Fe Nuclear Magnetic Resonance Spectroscopy (NRVS), a newly developed synchrotron radiation-based technique to measure the vibrational frequency of Fe-O and Fe-OH units of synthetic complexes that interact via hydrogen bonding with the secondary coordination sphere. Changes in the frequencies showed valuable information about the bond strength of these units and also provided a qualitative measure of the hydrogen bond strength. 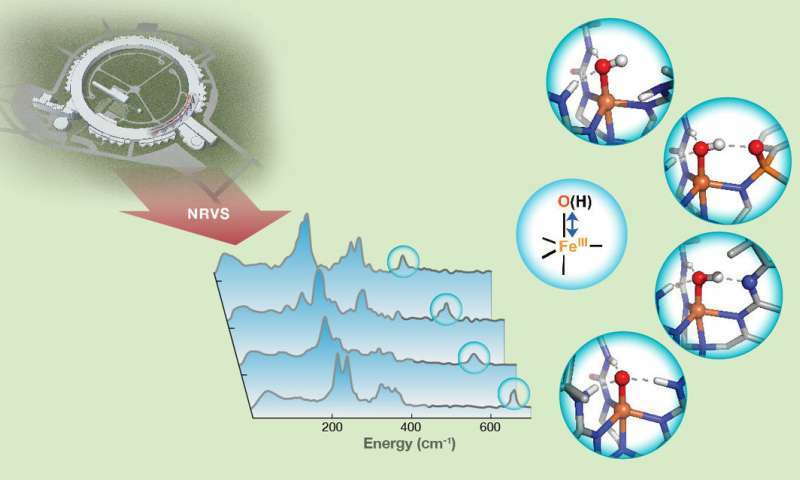 "This showed that NRVS is a sensitive method to detect very small changes in hydrogen bond strength down to the changes of a single hydrogen bond, providing us with a new method for changing the bond strength of Fe-O and Fe-OH Units with their chemical reactivity, "said Guo. 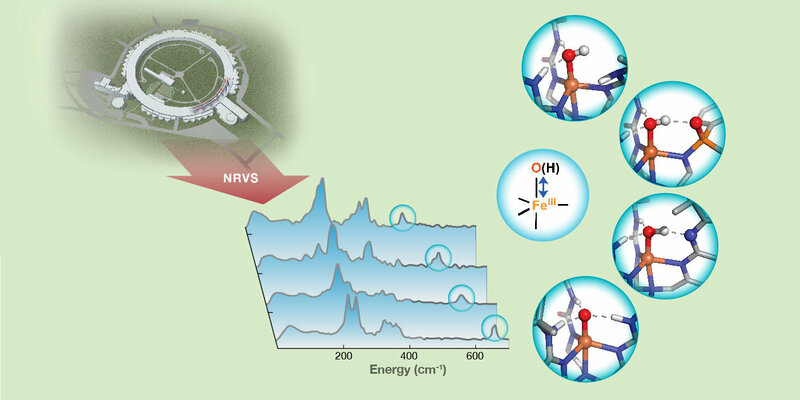 Guo says that this study is a proof of -of-concept for the use of NRVS to study hydrogen bonds. He intends to continue using this method to study more iron-oxo and iron-hydroxo species in both synthetic complexes and enzymes to build up the amount of data available to study the chemical reactivity of these species with the changes in hydrogen bonds -Interactions with the hope that this information could be used to develop more efficient and effective catalysts.